Can somebody stop time for a bit so that I can be in Assam for just a little longer? Maybe fly in Denver too Ugghh you can’t blame a girl for wanting it all! It’s almost time to go back and this trip to Assam has been fabulous. If you’ve been following me along on Snapchat (my_foodstory) you’d know about all the crazy stuff I’ve been up to and all the beautiful places I’ve seen and of course all the amazing food I’ve eaten! While I’ve been gone, my amazing food blogger friends have chipped in with their creations to make sure we keep bringing you recipes so that you can keep cooking! I’ve known Amishi from Naive Cooks for a while now and I absolutely love her pictures and recipes, which look stunning but are super simple to make. 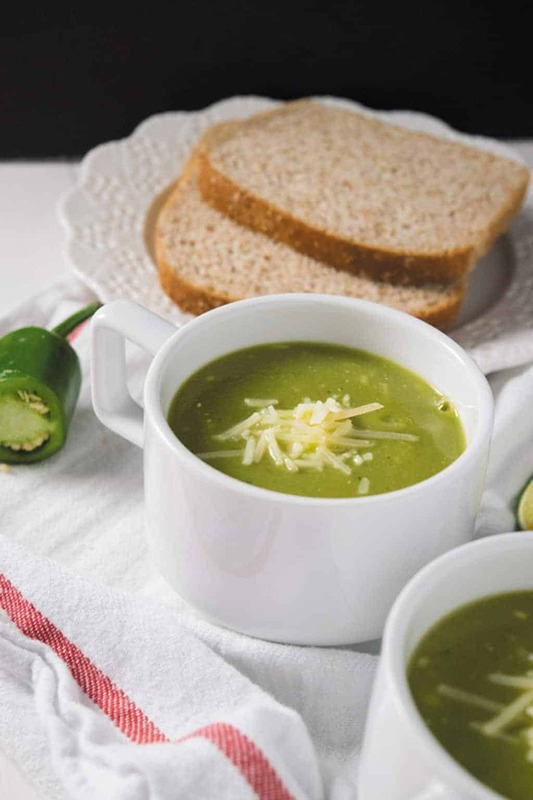 When I asked if she’d like to do a guest post on the blog, she immediately agreed and sent me this delicious pressure cooker zucchini basil soup. Doesn’t it look like just the thing for the sultry monsoon? 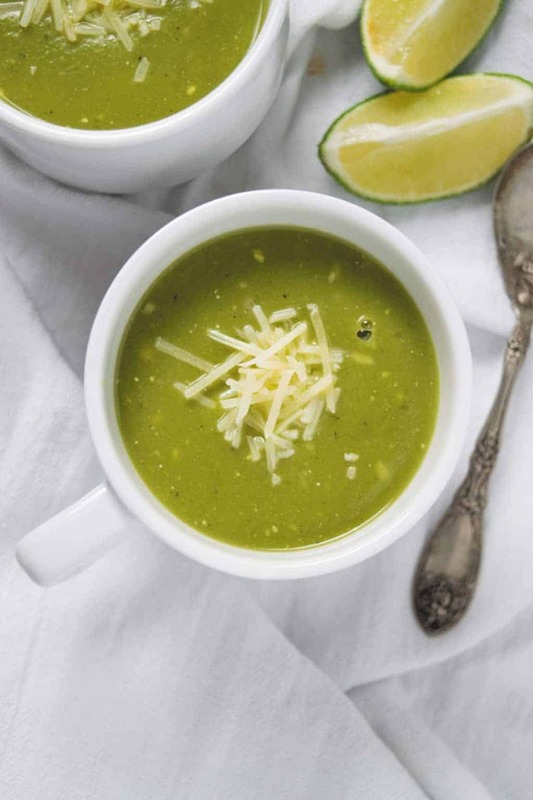 Imagine a warm cup of this soup in the evenings when it becomes all moody and chilly. Here’s what Amishi had to say about it. Thank you Richa for letting me share this awesome space! I have always loved your creativity with food and stunning pictures! 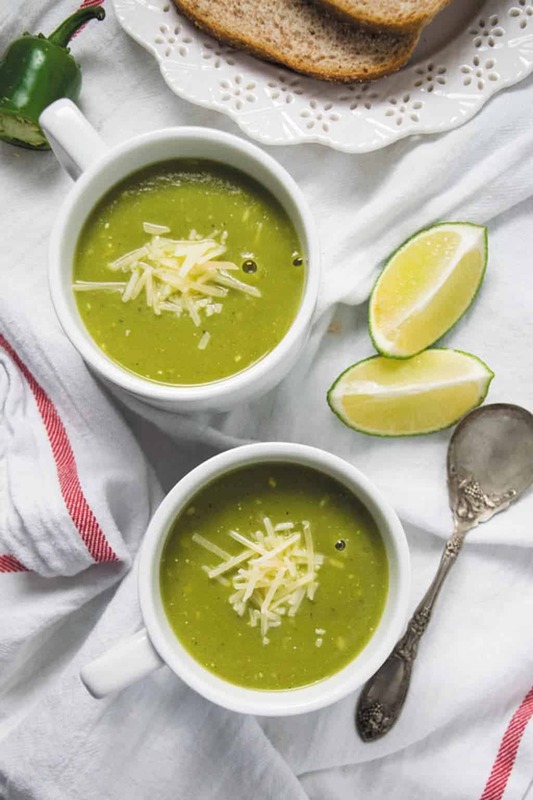 A simple soup for all seasons – fresh zucchinis, basil and just a few more ingredients are all that you need to make this delightfully easy soup loved by all! I have a soft spot for soups. These days with zucchini overflowing in the market, I ended up buying a big bag of them at my farmer’s market. You know how charming these farmers markets be?! I always end up getting way more stuff than I actually need for the two of us! So this soup was my attempt to use up all the extra zucchini sitting in my fridge! This is in true sense a summer soup. Fresh zucchinis, fresh basil cooked together with simple spices and then finished with yogurt, sour cream and parmesan! I got inspired by Ina Garten’s Zucchini Soup and ended up making my own version in a PRESSURE COOKER! Yes friends this is a simple, fool proof pressure cooker soup that just needs throwing the ingredients, cooking and then just finishing it off with cream and parmesan! How simple can that be for a quick wholesome lunch or delicious dinner when paired with some grilled meat or a sandwich! What would I do without such amazing friends! If you loved this recipe, follow Amishi on Pinterest and check out her blog. I’m in love with her One Pot Green Goddess Mac & Cheese and the Eggless Wholewheat Oats and Dates Cake. 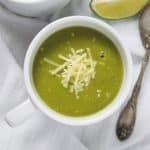 A simple, fool proof pressure cooker soup where fresh zucchinis and basil are cooked together with simple spices and then finished with yogurt, sour cream and parmesan! If cooking in pressure cooker, warm oil. Once oil is heated add onion and garlic and saute until softened. To it add zucchini, salt, black pepper, red chili flakes, water and basil leaves. Close the lid and then let it whistle for 3-4 times. Let it cool down. Once all the pressure has released, open the pressure cooker lid. Using a hand blender, blend until smooth. If it’s too thick for your liking, add little water and mix. Heat it and once hot enough stir sour cream and yogurt. Taste and adjust spices. Serve sprinkled with parmesan and some lime juice (optional). In case you don’t have a pressure cooker, just follow all the steps until before closing the lid and instead let the soup simmer until zucchini is softened. Then follow the rest of the recipe as is. Just wondering if you have tried freezing this soup maybe before adding the sour cream, yogurt, and Parmesan. Hey Michelle, I’ve never tried freezing the soup but it should work. This unfortunately lost me on the step that required a hand blender. I thought that this was supposed to be easy/beginner friendly and now it’s calling for more advanced cooking appliances in addition to this fairly expensive pot?! I live in a small apartment in SoCal and have a toaster oven, a microwave, a coffeemaker, and a Cosori pot. Additionally I have two nice Cutco knives, two cutting boards, a veggie brush, a veggie peeler, a meat thermometer, an egg [white] separater, a manual cheese grater, and that’s it. No upright blender, no food processor, no Kitchen Aide fancy bowl mixer in ruby red, oh, I do have a rolling pin. Can I just hand stir the heck out of it or is this mixing an absolute must for a successful outcome? I’ll be back when my kitchen has matured a bit more for sure. I wouldn’t call a blender an advanced cooking appliance. This is a creamy soup that is pureed, and if thats what you want to try, a blender is required. Maybe you can borrow one from a neighbour? Damn! I’m so sorry about that. Fixing that right away, and thanks for letting me know. I hope you try this soup – it’s a favourite! Should I peel the skin from the zucchini? You could if you want to, but I leave the skin on for extra fiber. I have a Fagor 6ct. In your instructions, you say to, “let it whistle for 3-4 min”; is that just using a Low Pressure setting? Also, do I Quick-Release the pressure or let it release naturally? The recipe looks amazing and I can’t wait to try it! Hey Layne, to make this in an electric pressure cooker, bring the soup to high pressure for 10 minutes and then let the steam release naturally. I hope you try it! You seem to be missing the directions part of the recipe. Sorry about that, I’ve added the instructions.